Dún a Sí Farm was the first flock in the state of Montana to achieve Certified Status in the Voluntary Scrapie Flock Certification Program (VSFCP): Certification Date of September 20, 2004. The Wensleydale Longwool sheep breed originated in North Yorkshire, England, during the 19th Century. The breed is directly descended from a now extinct longwool breed which was introduced into the valley of Wensleydale in the late 18th Century. 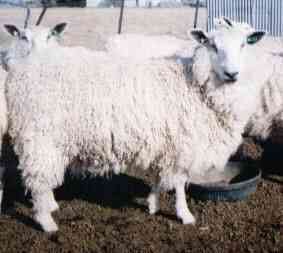 The foundation sire of the Wensleydale breed was a ram named "Bluecap". He was born in 1839 in the hamlet of East Appleton, which is 5 miles NNW of Bedale in North Yorkshire. His sire was a Dishley Leicester and his dam was a ewe of the now extinct local longwool breed. 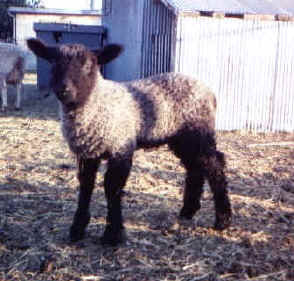 The unique qualities of Bluecap that became the standard for the Wensleydale breed were his dark colored skin and his superb quality of wool. The Wensleydale is a very large longwool sheep with a bold and alert carriage. It has a distinctive blue head and ears with a well developed lock of wool on the forehead. 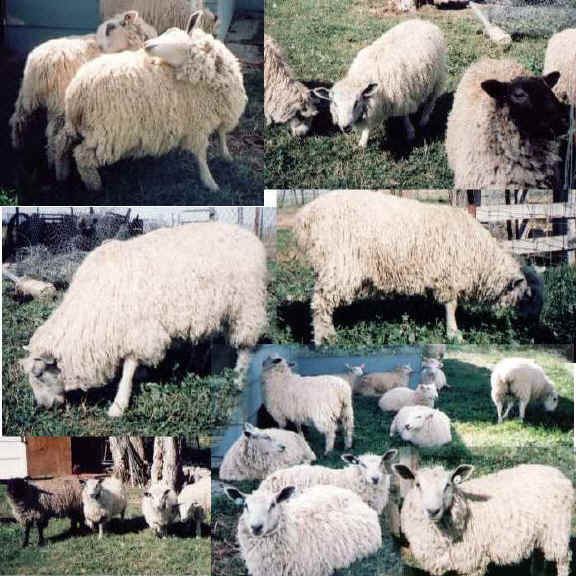 This breed was developed to provide crossing sires for the hill ewes to produce prolific and hardy breeding ewes. 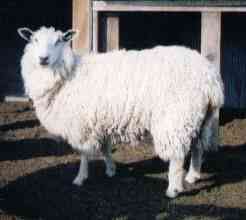 The Wensleydale ram gives extra size and quality to the cross bred progeny. Although developed as a crossing sire, the Wensleydale is well known for its exceptionally high quality of wool. The Wensleydale wool is the finest and most valuable luster longwool in the world. 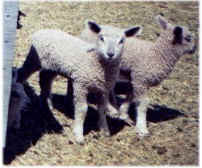 Fleeces are 20-30 cms staple length and 33-35 microns. They are entirely kemp free as a result of the unique characteristics of the wool-producing follicles. This special quality is genetically transmitted to cross-bred lambs, which makes the Wensleydale ram one of the leading wool-improving sires in the world.